Welcome to a new chapter in the life of Irregular Webcomic! Some years ago, a reader said on the forums that something along the lines of strip #3182 would be the perfect way to end the comic. I thought so too, so I filed it away for future reference. And now I've done it. That strip does indeed mark the end of the various stories and of the comics that tell them. But it's not the end of Irregular Webcomic! More about that in a minute. 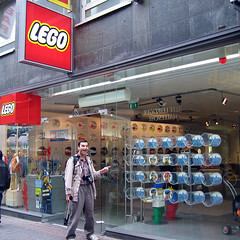 Me at the LEGO store in Cologne, Germany. I've been making this strip since 2002. It began when I was unemployed and bored at home, on New Year's Eve. I'd recently gotten into this newfangled idea of comics published on the Internet, and two of the people I knew from hanging out on Usenet forums back in the '90s had recently started up their own webcomics. I like comic strips. I read some of the usual superhero comic books when I was growing up (and also a lot of the horror comics, since those were the ones my mother used to get), but I never really got into the continuing storylines thing. Mainly because we always got our comics from the local second-hand book exchange, years after they were published, so I never saw two issues of a serial comic in succession. But newspaper gag strips, they were easy to get into. It also helped that my uncle had a large collection of Peanuts anthologies, which I reread every time I visited. I loved the one-strip adventures of Charlie Brown, Snoopy, Linus, Lucy, and the rest of the gang. I never acquired a Peanuts book myself (I didn't need to as long as I kept visiting my uncle's place), but I got other gag strip collections, starting with Garfield. I had the first three or four print anthologies of Garfield strips ever published, back in the early '80s. They were hilarious. Garfield began as a sassy, funny cat who trumped Snoopy by being borderline obnoxious, which is an appealing thing to a kid. I still think those first few years of Garfield were probably the best of the comic's entire run, when it was still bubbling with originality and the unexpected. Besides Garfield, I had collections of Marmaduke, Fred Basset, Hägar the Horrible, B.C., and The Wizard of Id. But Garfield was my favourite. At the time, the Australian Women's Weekly magazine (which my mum bought) published a brand new Garfield strip every week. I diligently cut out each one with scissors and pasted them into a scrapbook. I built up quite a large collection this way. Then at some point I got into Footrot Flats, which is a strip from New Zealand about a farmer and his dog. (I'm not sure how popular or well known this one is outside NZ and Australia, hence the description. If you get a chance, look it up. It's hilarious, but it helps a lot to know about rural NZ culture. 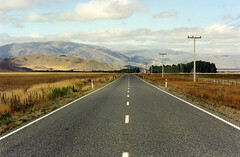 Or perhaps you'll learn something about rural NZ culture.) I loved this comic, and I still do, to the point of having bought almost every print collection of it that is available. In 1988, a pen-friend of mine visited from the United States. (Our schools had a pen-friend exchange programme, and we'd started writing letters a few years earlier. Do kids do this any more, or is it all done on the Internet? How many kids these days have had an actual handwritten correspondence with anyone? As it turned out, I eventually attended her wedding, my wife and I have visited them and their kids, we still keep in touch, and she is now my longest standing friend anywhere in the world.) Anyway, when she came to Australia, she brought with her a copy of the first Calvin and Hobbes print collection, to read on the plane. She let me read it and I was instantly hooked. Since then I've bought a copy of every Calvin and Hobbes book printed, including the ones that are just reprints of selected other strips with a few pages of bonus material. Bill Watterson's strips are so original and fresh and creative and funny, that to this day Calvin and Hobbes still stands as my favourite gag comic strip of all time. I used to draw comic strips when I was in school. I wanted to emulate the delight brought by a good comic gag, with something I could make myself. I created a bumbling superhero character - sort of a cross between Maxwell Smart, Hong Kong Phooey, and Captain Klutz from Mad magazine. He lived in the future and had a robot sidekick. It turned out the robot was much easier to draw than the hero, since it didn't need to look even vaguely human. If I had any of those original comics still, I'd probably have scanned them and posted them on this site somewhere already, but alas they are lost to the mists of time. The only thing I have left from those heady days is an aborted attempt at a long-form Indiana Jones parody. Years passed and I gave up drawing badly illustrated comics for things like studying, getting married, getting a job, buying a house, and so on. While this was happening, a little thing called the Internet was starting up and growing. It seems hard to imagine now, but a mere 20 years ago the Internet was a fledgling and only a few people had even heard of it. And we're back at the start of our story, only now I have this long-standing frustrated desire to make comics. So, given too much spare time and some friendly precedent, I decided to make a webcomic. I'd also recently acquired my first webcam and was itching to use it for something. So I did the semi-logical thing and aimed it at myself to grab some photos that I could assemble into some semblance of a comic strip. The rest, as they say, is history (although everything I've said leading up to this point is more history). Which brings us to now. And the short version is: I'm ready for a change. Readers keep writing to say they like my comics and to please keep making them for years to come. Naturally I don't want to disappoint anyone who would bother to take the effort to praise my work, which has made the decision more difficult than it would have been otherwise. In the past year or so I've steadily felt less inspired to continue making Irregular Webcomic! I've felt that my ideas are getting stale and the comics are getting harder to make. I know that many readers have said IWC still seems fresh and creative after all these years, but alas it doesn't seem that way to me. I've fallen into a rut, and I feel that I've been more or less coasting along for some time. Additionally, I've found myself having less and less spare time to do other things that I enjoy, such as photography, watching movies and TV, reading, getting outdoors and enjoying the fresh air, working on new creative projects, going to concerts, doing stuff with friends, and spending time with my wife. Something had to give, and I've decided that the time has come to stop making comics for Irregular Webcomic! My other comic projects - Darths & Droids and the mezzacotta group of comics - will continue. I couldn't just stop IWC anywhere. I needed to at least draw (ha!) most of the prominent themes to some sort of conclusion, lest my loyal readers feel that the stories have been interrupted prematurely. I hope that I've achieved some sort of closure with the themes. In some cases, such as with the Fantasy and Space gangs, it's an open-ended conclusion, allowing you to imagine their adventures continuing in a similar fashion (I will certainly be doing that). For some of the less popular themes, alas, there was no good way for me to bring them to a close in the time I'd assigned myself, so they've been allowed to drift. It's taken me the better part of this year to draw all of the main story threads together and reach this conclusion. But now the time has come and the comics are done, and I'm sitting here with an inescapable sadness that something special has come to an end. Except it hasn't. Because Irregular Webcomic! is going to continue. There will be no more comics*. However, many people over the years have mentioned to me that they enjoy not only the comics, but also the occasional longer annotations in which I talk about various aspects of science, nature, culture, society, language, or what have you. Several readers have even said they like those more than the comics. And I like writing them, when I have the time. I wanted to switch to writing something thoughtful, about once a week, rather than making seven or more comics each and every week. My first thought was to start a new blog, and tell all of you about it, and hope that some of you would try out the new site and start reading it regularly. Which would have been a bunch of work designing a new site, getting it all set up the way I want, and so on. But then I realised, I already have a site set up to publish text on a regular basis, complete with RSS feeds and a database and all that stuff already implemented. And reader poll functionality too! So the annotations will continue right here, on this site, just without any comics. In order to allow me the time to write longer annotations and still enjoy a good portion of the free time that not making seven comics a week frees up, IWC is, from tomorrow, switching to a weekly schedule. Updates will occur at the usual time, on Sundays. I know this announcement is going to be a disappointment to some of you. For that I apologise. I hope, however, that a good portion of you may be excited by the prospect of a greater frequency of longer annotations, rather than the haphazard scattering of one every month or three, mixed in with a large number of trivial ones, that it has become in recent months. 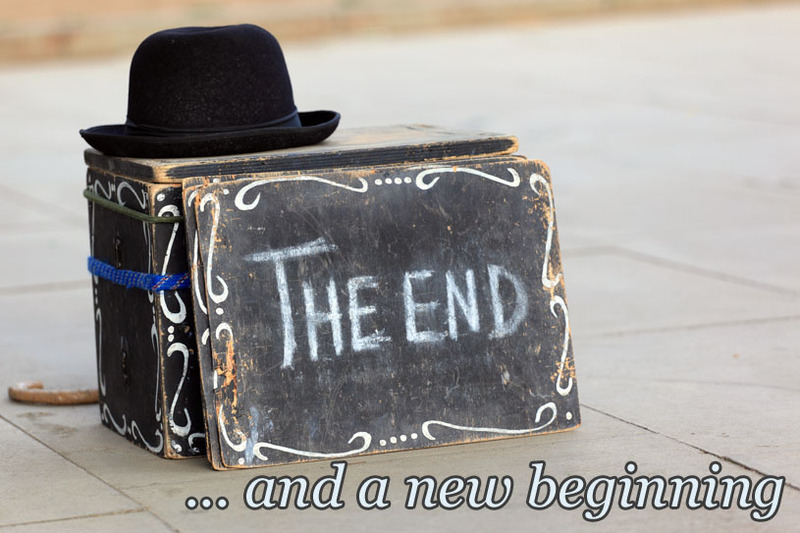 So, here's to new beginnings! I hope you'll stay with me for the ongoing journey. * I reserve the right to invalidate that statement at some unforeseen point in the future, should I be so moved. Last Modified: Saturday, 29 October 2011; 03:11:01 PST.